for $2,604 and the Valiant Custom 200 hardtop sold for $2,738. Consumers throughout the Dominion bought more and more small European cars, Ramblers and Studebaker Larks throughout the 1950s. The boys at Chrysler Canada spotted a perfectly good trend and hopped on board, too. Their first trip on the “small is beautiful” train was a wise choice. 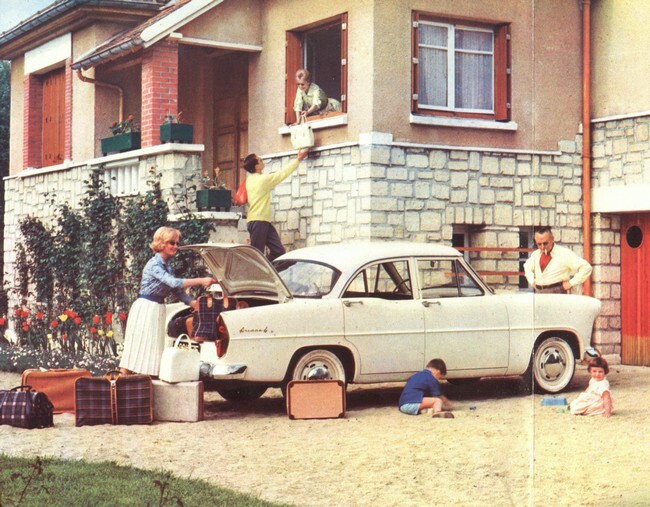 They offered the Simca family of fine cars as a captive import in the 1959 selling season. The 1960 Simca Aronde retailed for $1,698 across Canada. Billed as “imported from Paris,” Simca did very well in its first year. Canadians bought 4,802 units right across the country, from St. John's to Victoria. That was a highly encouraging sign to the wise men in Windsor; the petite automobile from France had racked up nearly five times the sales of Chryco's mid-priced DeSoto. Simca's success paved the way for a domestically-built compact car for the 1960 season. 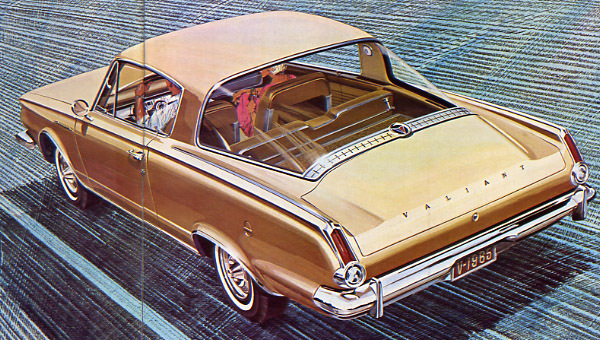 Because the smaller car segment was so powerfully strong in Canada, the Valiant would bow—not as a Plymouth model—but as a brand in its own right. Valiant took its place as the fifth in the famed Chrysler Pentastar and venerable DeSoto, built in Windsor since 1928, faded into history domestically a year before it disappeared forever in the United States. Valiant replaced DeSoto in Chrysler Canada's 1960 family. Valiant would need reputation, good looks and durability to succeed in the marketplace. Another pretty face wasn’t going to cut it; Valiant had more than enough of competition. Studebaker was pumping out sassy little Larks in Hamilton. General Motors was building the rear-engined Corvair in Oshawa and in Oakville Ford workers were turning out the Falcon and Frontenac as fast as they could. An ultra-modern factory was under construction in Brampton, Ontario for the manufacture of study, no-nonsense Ramblers. Ford offered the Canada-only Frontenac in the compact segment. 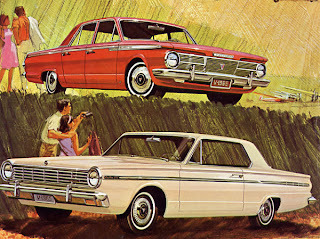 Frontenac was replaced by the Mercury Comet in 1961. And those were only Valiant’s domestic competition. As the small Chrysler was being launched, GM’s captive import Vauxhall from the UK was the fifth best selling nameplate in the country, West Germany’s Volkswagen ranked sixth throughout the Dominion and Austin held down the lucky 13 spot. Other imports that had carved a place for themselves in the market place included Morris, British and German Ford, Hillman and Sunbeam, Standard, Triumph, Wolseley, Riley, and MG. Every one of them vied with Valiant for a place in Canadians’ hearts, driveways and garages. The decidedly European-looking Valiant finished a somewhat disappointing 16th for calendar year 1960 with 6,474 units delivered. 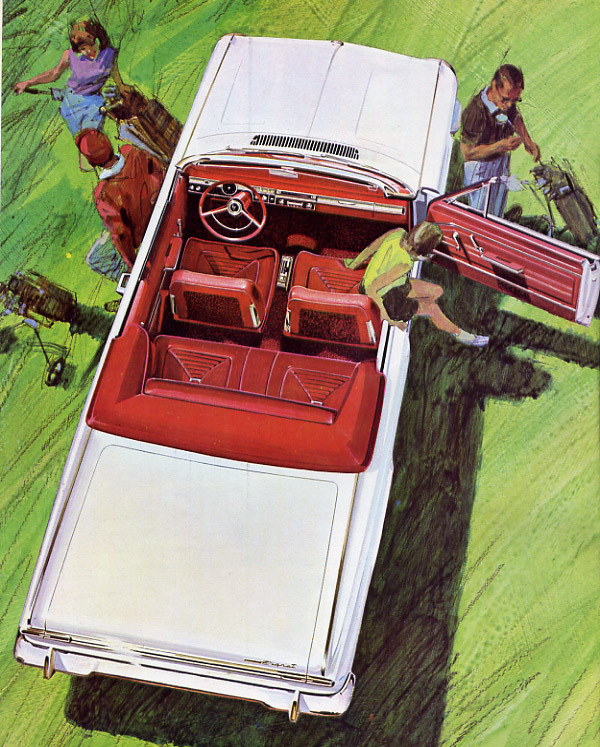 It moved up to 14th place in 1961 with 9,831 units sold domestically. Valiant somersaulted headliner over wheels to push past Volkswagen and capture 4th place in the 1963 sales race, with a total of 29,007 sales. The extraordinary pole vault was helped along greatly as the Governor-General signed into law Parliamentary legislation that slapped heavy duties and taxes on foreign automobile manufacturers without ties to the automakers here in Canada. Valiant was revamped for 1964 season. 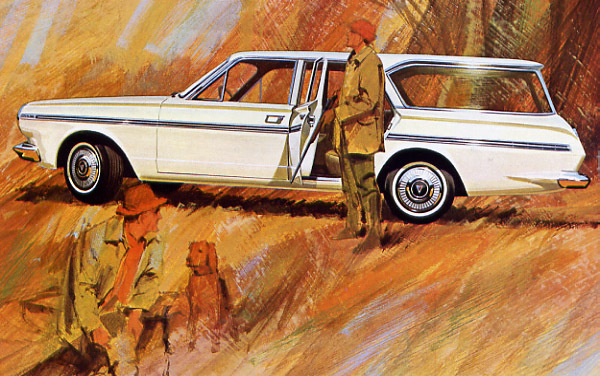 Chrysler's homegrown compact was truly distinctive and far less European in look. Valiant held on firmly to fourth place with 34,468 units delivered. When Valiant arrived in showrooms for 1965 the family was larger; it had proliferated overnight to 30 models, seven each in the base 100 and 100 Custom series and eight each in the 200 and 200 Custom Series. The two series were easy to tell apart, each was given its own unique looks. The sporty Barracuda was not assigned to either series but potential customers were told they could find certain Barracuda characteristics in each and every Valiant. $3,336 when equipped with the 270-horsepower V-8. Topping the 200 Series was the Signet hardtop and convertible. Stylish bucket seats were covered in a luxurious vinyl grain in any of four colours, coordinating with the dashboard and the plush carpeting underfoot as part and parcel of the Signet experience. So was a black or white vinyl top for the hardtop. Convertible tops could be had in white, blue or black. Instrument panel for the 1965 Valiant was practical and pretty. The Signets were followed by the slightly undressed Custom 200 hardtop and convertible along with a Custom four-door sedan a Custom 200 station wagon. There was also a substantial if somewhat unadorned 200 two- and four-door sedan. In the lesser 100 Custom line there was still a surprisingly wide range of choice including a modestly appointed two-door hardtop and a convertible along with a Custom four-door sedan. 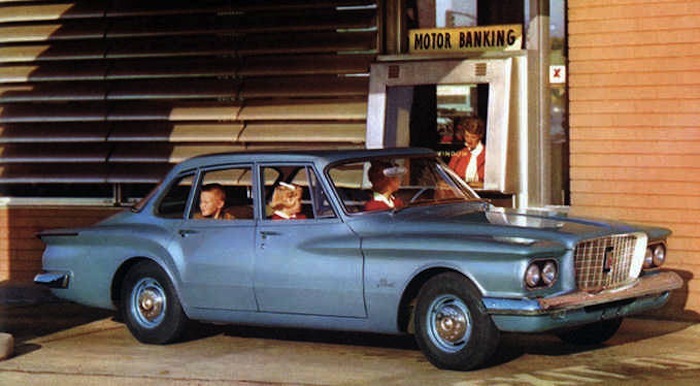 The very base 100 series consisted of a two- and four-door sedan and a station wagon. with the optional Power Pak V-8. The aerodynamic Valiant Barracuda was imported from the US. It promised to please anyone who had even a little sporting blood running through his veins. It promised to reveal automotive characteristics that could not be found in competing products. Much was made of the vast tinted back glass and the fact that it boasted a seven-foot space big enough for skis, toboggans, fishing poles or even plain old suitcases. Salesmen were quick to point out that there was an ample trunk to boot. The Barracuda was not just another elegant sports car; it was practical and versatile, too. Under the hood one could have the 170- or 225-cubic inch Slant Six or the powerful 273-cubic inch Power Pak V-8 with two or four barrel-carb setups. These could be mated to the three-speed manual transmission that shifted on the column or one could hook up to Torque-Flite automatic transmission. The Custom 100 could be had with four-on-the-floor with the 225-cubic inch six or the big V-8. Owners could choose one’s Valiant in any of 17 colours and 15 optional two-tone ensembles. Standard equipment included retractable seat belts and self-adjusting brakes. An alternator was offered instead of a generator and this year, for the first time, the cigarette lighter was included in the base price. Options were as plentiful as Stanley Cup wins by the Habs. Valiants could be had with power steering, power brakes, a power convertible top and a power door for station wagons. One could order the electric variable-speed windshield wipers, a windshield washer, tinted glass, an AM transistor radio with manual tuning knob or the fancy push buttons, a day/night rearview mirror, heavy-duty suspension, Sure-Grip differential and front torsion bars. Then there was the bumperettes, the ever-practical block heater, soundproofing for the hood, an under-the-hood lamp, safety padding for the dashboard, a roof rack for the wagons, outside mirrors, white wall tires and more. Engineers wanted owners to have confidence in the Valiant. They had worked hard to achieve long periods of time between visits to the garage. Chrysler products could now boast 4,000 miles between oil changes and 32,000 miles between grease jobs. Like stablemates Plymouth, Dodge, Chrysler and Imperial, the compact Valiant was covered by Chrysler Canada’s famous Five Year—50,000-mile guarantee on the drive train. The warranty was honoured throughout Canada and the United States as well. 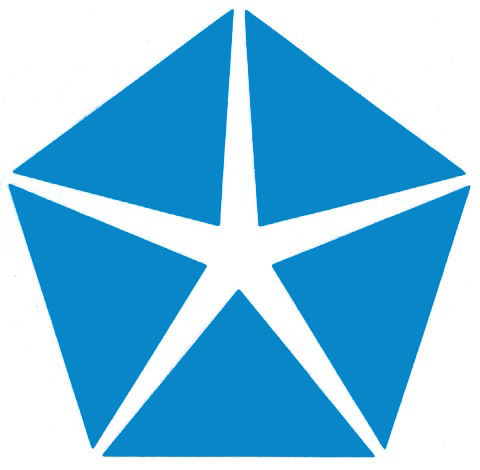 Chrysler dealers pledged that just like their products, their service was first class. The year ended well for Valiant. The smallest homegrown Chrysler took home the lion’s share of sales for ChryCo and the Pentastar flag in 1965. The total was a tidy 32,441 units delivered for the calendar year, to be exact. Visit my old car website at http://www.theoilspoteh.ca Visit my old car website at http://www.theoilspoteh.ca Copyright James C. Mays 2005 All rights reserved.